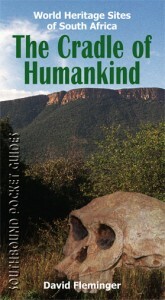 Just an hour to the north-west of the sprawling metropolis of Johannesburg is one of the most remarkable fossil sites in the world – the self-proclaimed Cradle of Humankind. For millions of years, our ancestors have lived and died among these rolling hills and, from the caves of the Cradle, have emerged nearly 1000 ancient fossils of early humans (nearly a third of all the hominid fossils found on Earth so far). With the help of these petrified puzzle pieces, palaeoanthropologists have been putting together the fascinating story of our species’ evolution, and have now identified southern Africa as the home of all modern humans. Declared a world heritage site in 1999, the Cradle covers an area of 47 000 hectares and contains about 20 known caves. 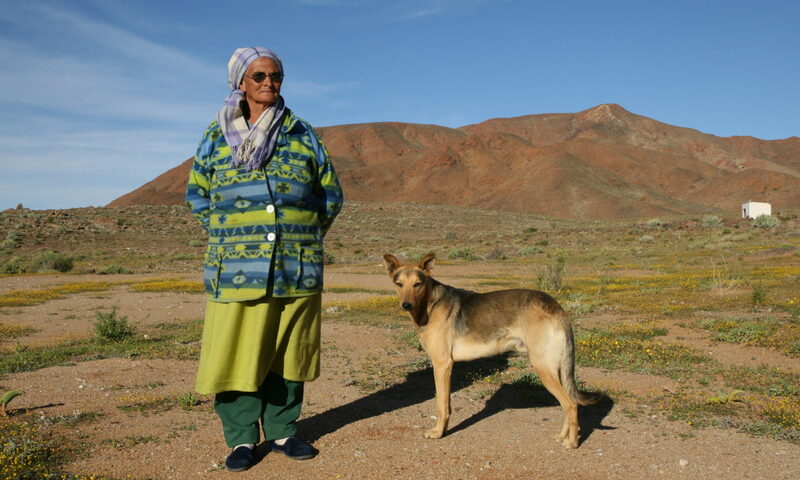 In 2005, world heritage status was extended to two other related sites: the Taung Quarry, near Kimberley, and the Makapansgat cave complex, near Polokwane. Collectively, the Cradle has yielded some of the world’s most important hominid finds, such as the Taung child, Mrs. Ples and Little Foot. Through these fossilised luminaries, we have been able to trace our family tree from Australopithcus africanus all the way to our very own species Homo Sapiens (translated as ‘thinking man’ – all evidence to the contrary). A visit to the Cradle usually involves a trip down into the depths of the world-famous Sterkfontein Caves. Then a drive up to the Maropeng Visitors Centre to enjoy the museum and breathtaking views out over the mountains while enjoying a good meal. But the Cradle also incorporates a number of attractive country towns where you can also spend many happy hours browsing the shops, hiking, horse riding or eating at one of the many country restaurants. There are even several game reserves in the area and hundreds of enticing lodges and resorts where you can spend a night or three. So, whether it’s for a day trip or an extended stay, visit the Cradle of Humankind and reconnect with your ancestors. This comprehensive guide tells the story of our evolution, the famous fossils of the Cradle and the eccentric fossil hunters who dug ’em up. It also includes a full overview of the region’s history, geology, and fauna and flora. 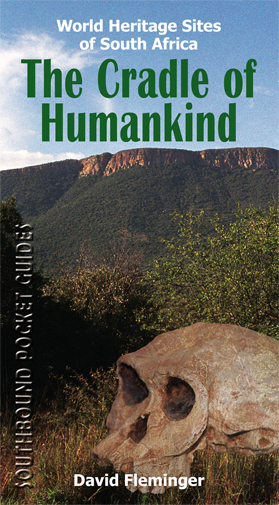 With detailed maps, colour photographs, route guides and full listings of places to go, things to see, and accommodation options, the Cradle of Humankind is an invalubale companion for local and international tourists alike.